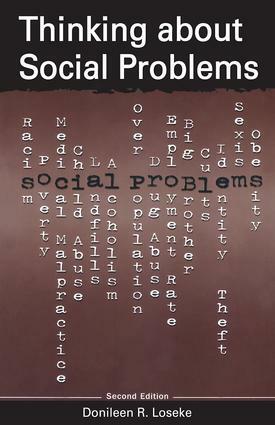 The new second edition of this distinctive and widely adopted textbook brings into the classroom an overview of how images of social problems can shape not only public policy and social services, but also the ways in which we make sense of ourselves and others. It introduces two primary changes. First, some attention is devoted to the "new social movements" that emphasize social change through identity transformation rather than through structural change. Second, the text now also looks more closely at the importance of emotions in constructing public consciousness of social problems.When the first edition was published, Teaching Sociology noted, "Loseke does a superb job explaining the relationship between sociology and social problems in a text that is very well research and engaging, yet with tremendous attention to detail and accuracy… [W]ould provide a solid base for any social problems class." Contemporary Sociology wrote that the book is "engagingly well written in a personal, unpretentious style, and well informed by the author's knowledge of the professional literature."